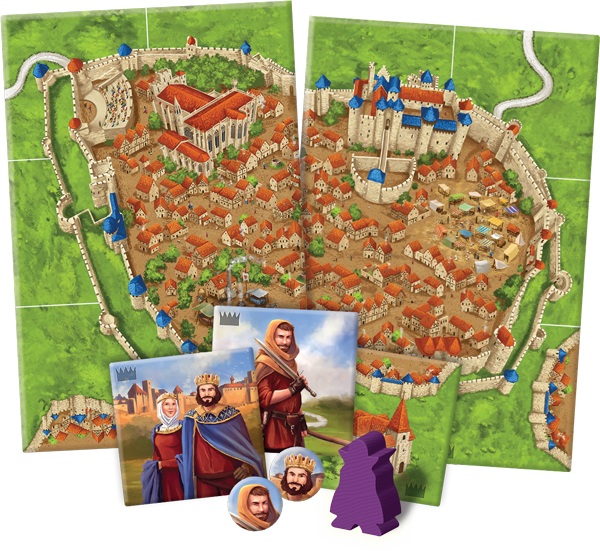 Return to France again with the sixth expansion for the legendary Carcassonne, available for pre-order on our website or from your local retailer. New characters and starting points provide a fresh start for the classic tile-laying game. Choose to begin your adventure with the grand city itself, Carcassonne. Or wander along the edges of a new, winding river. Combine the new river tiles with those from the base game for a more complex river design. Will you be a benevolent ruler? Only a king can rule the largest city. Help your kingdom grow and claim the crown. The new king tile grants bonus points to the holder of the largest city. Want to travel a different path? Journey the land, mapping out the roadways and claiming the longest road for bonus points with the robber. 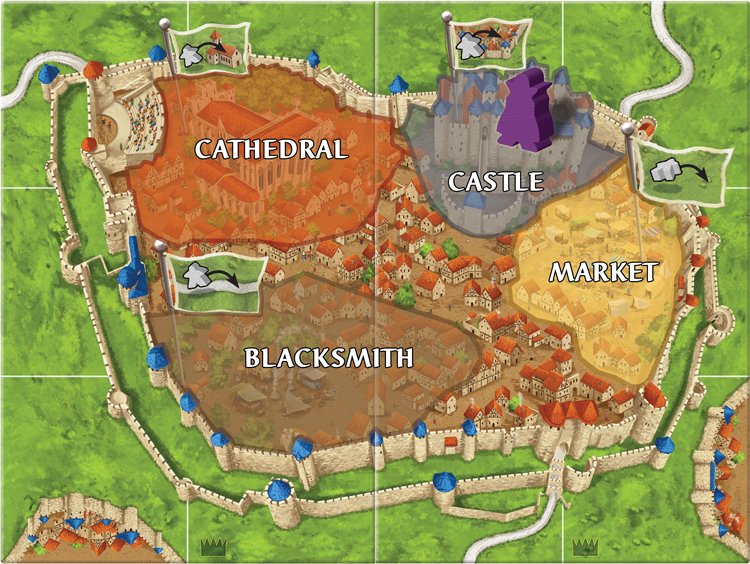 The city of Carcassonne has four main areas: the castle, market, cathedral, and blacksmith. The mysterious count starts in the castle but can manipulate the districts as he moves around the city. When adding a follower to the city, you can sway the count and move him to a different district. Think carefully with your placement. The count’s location in a new district frees trapped followers for future turns while also blocking other followers from moving. Explore a new role with the heretics. Challenge the monks by building shrines and disrupting the monastery. When placing a shrine adjacent to an occupied monastery, a challenge occurs. Race to complete your feature and take the precious points for yourself. 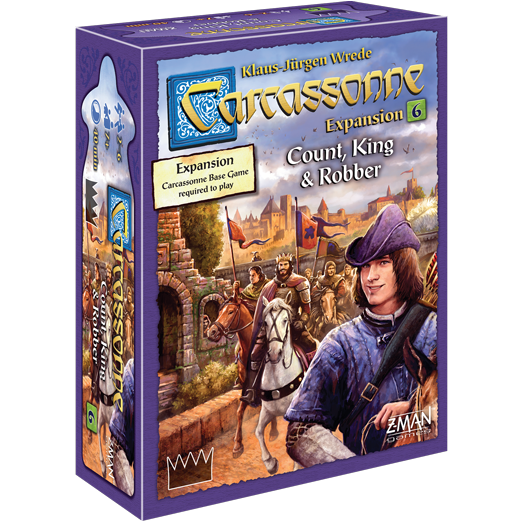 Claim the city, build shrines, and journey across the longest road to claim your victory in Carcassonne: Count, King & Robber! Pre-order your copy today.